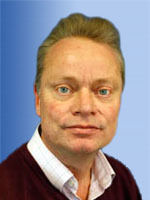 Stuart Billington joined Grosvenor in 2005, as a part time consultant having previously been head of department at Philips (later Bonham’s) between 1999 and 2005. With Phillips and Bonham’s he spent much time travelling, about 50,000 a miles a year. As part of the Grosvenor team Stuart spends most of his time visiting clients and carrying out valuations. Stuart’s main areas of interest are in the Commonwealth, China and Egypt.